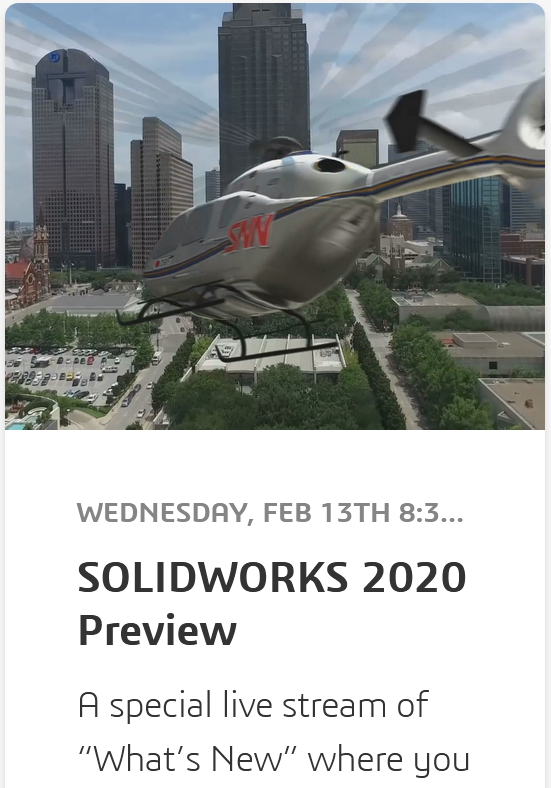 SOLIDWORKS World 2019 is just a week and a bit away and over at the “SOLIDWORKS World 2019” website we are staring to see more information about the event. The Keynote speakers have been announced, as too the location of the Tuesday night Special Event. For those who were at SOLIDWORKS World 2016 in Dallas, the special event returns to Gilley’s Dallas. Something new for SOLIDWORKS World 2019 is the “The Hive”, a place were first timers can seek some advice and wise words about what they are just about to get into! 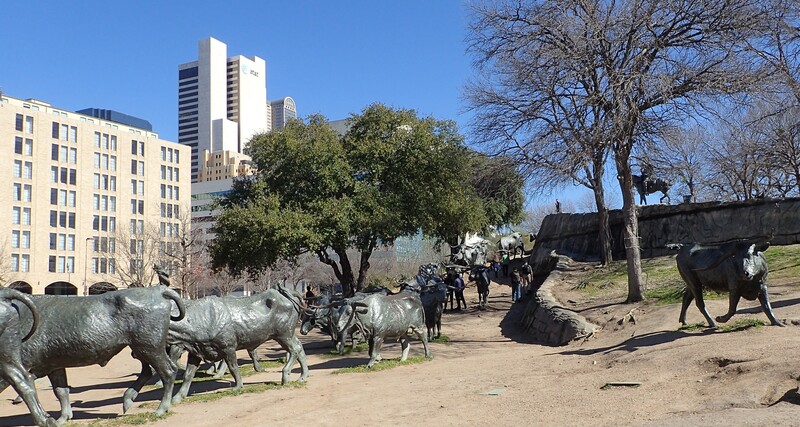 I can still remember my first SOLIDWORKS World – 2011 in San Antonio TX. There is so much to take in and I was fortunate to have a couple of experience SOLIDWORKS World’ers to lead me astray look after me. Now is my opportunity to give a little back. I am fortunate to be one of the SOLIDWORKS World 2019 Ambassadors! I’ll be there at “The Hive” as well as throughout the rest of the week, passing on some things I have learnt. Not only how to best survive, but to get the most out of the event. Which leads into “use your Sunday well” First visit The Hive! Everyone will have good advice. More importantly, use the time to know where everything is. The location for Breakfast/ Lunch and General Session Halls are normally clearly signed. However some of the Technical Sessions rooms can be tucked away. There will be rooms in both the Conference Center and the Omni Hotel. Walk each of your days, following the order of your sessions. Although there will be maps as part of the things you are given when you pick up your pass, nothing beats a good reconnaissance. You can never spend enough time in the Partner Pavilion! It will be crowded in there at time. You will find that Food & Beverages make an appearance in the afternoon or early evening! Don’t be afraid to skip a Technical Session and spend that time in the Partner Pavilion, it will be quieter which will give you a better change to speak to people. There by yourself! Don’t be concerned about breakfast & lunch seating. If you have a table to yourself, someone will ask to join you! If you don’t see a free table, look around for a vacant seat, Ask can you join them. Put out your hand, introduce yourself. Everyone has a story, everyone loves to talk shop, everyone will want to know your story. It’s amazing the people you meet, the work that they do and what they do with SOLIDWORKS! I’ve still got some more Tips up my sleeve! 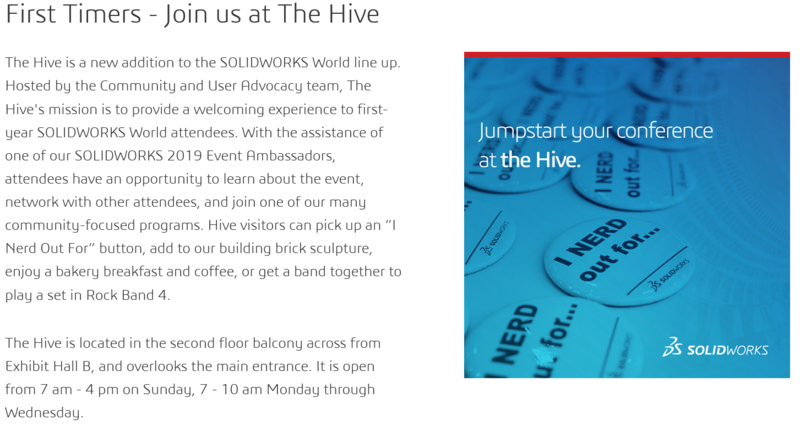 Come and meet me and the rest of the SOLIDWORKS World 2019 Ambassadors at “The Hive” or if you see me throughout the event come up and introduce yourself. As always I’m looking forward to the event, catching up with friends and meeting all. Good stuff, Michael. Look forward to seeing you!